On the both north and south side of the railroad crossing at the east end of Onigoe Station, Shinmeisha Srine and Shinmeiji Temple stand there. Shinmeisha Shrine is standing on the north for over 700 years with its long history. 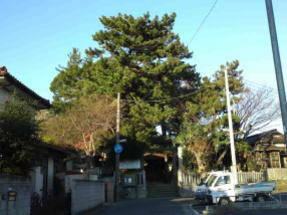 The small main building is surrounded by a tall camphor tree and the city symbolic tree of black pine trees preserved by Ichikawa city. Shinmeiji Temple has a legend related to a samurai worrier in Muromachi period, Oguri Hangan, and preserves his statue of Fudo. 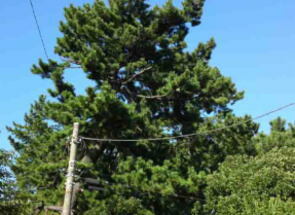 A ginkgo tree standing south of the gate is explained that Oguri Hangan tied his horse Onikage to it. 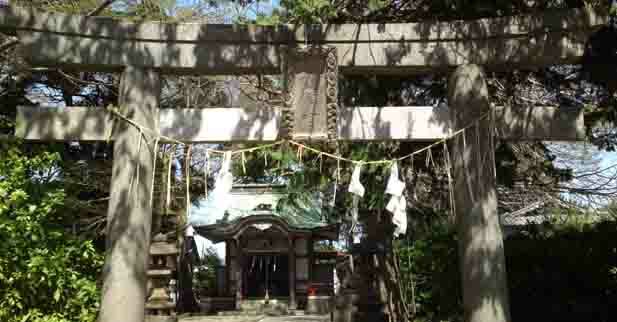 Shimeisha Shrine dedicates The Sun Goddess, Amaterasu Omikami. 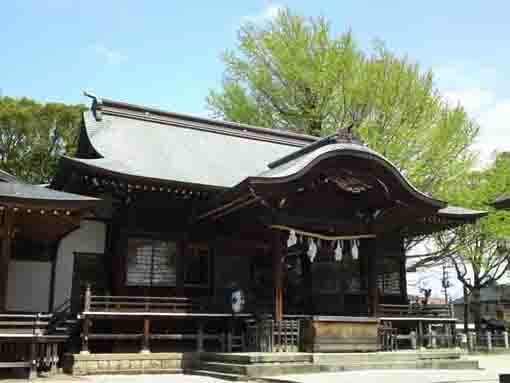 According to folklores, Shinmeisha Shrine has stood at Onitaka village for 700 years. 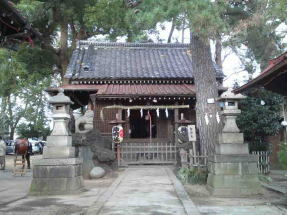 The stone monument built in the shrine in 1616, and the main building was built during Meiji Era. 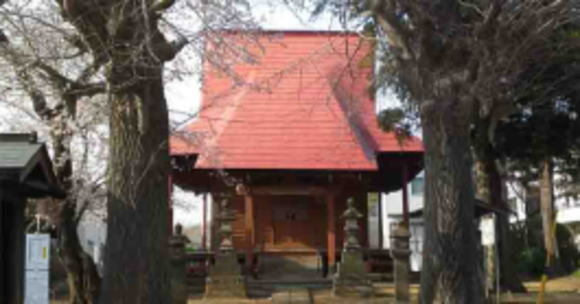 Shinmei Shrine preserves a big and medium portable shrines, the big one were made in the 2600 year of the Imperial reign in 1940 by Shukei Asako at Gyotoku. Mr.Asako and Katsugoro Nakamura in Onigoe had a good friendship so Mr.Asako made it twice greater than the fees having paid. 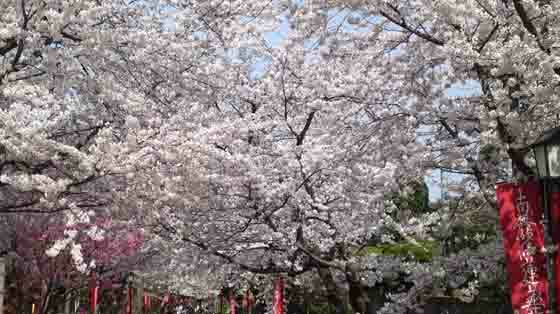 The Ujiko, the supporters, of Shinmeisha Shrine were much pleased and satisfied at his work. And the medium portable shrine was made by Sokichi and Torakichi Murata of Mikoshi makers in Hiranaga-cho, Kanda in Bunkyu 2nd (1862). In Edo period, the Edo Bakufu only allowed preserving 20 mikoshis (portable shrines) in Edo, it was very special that the medium mikoshi of Shinmeisha Shrine was built and existed in the period. Besides, the statue of the god on the festival float is the first emperor, Jinmu. All contents above are written by the president of supporters, Fujio Yamada. Onitakasan Shinmeiji Temple belonging to Shingon Sect Buzan-ha is standing on the east end of Keisei Onigoe station. 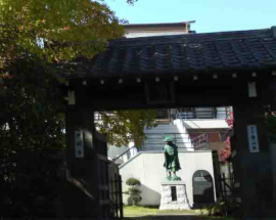 A small statue of Kobodaishi could be impressively seen through the small gate opening to the east. 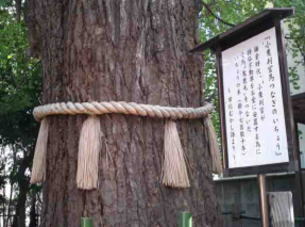 There is a tall ginkgo tree introduced 'Oguri Hangan tied his horse' on the south of the gate for over 700 years. 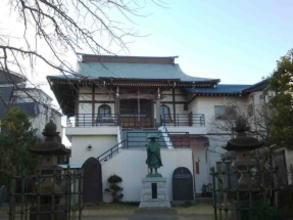 Besides behind the statue of Kobodaishi and below the main building, there is a signpost introducing as Oguri Hangan's Apotropaic And Promotable Fudo. 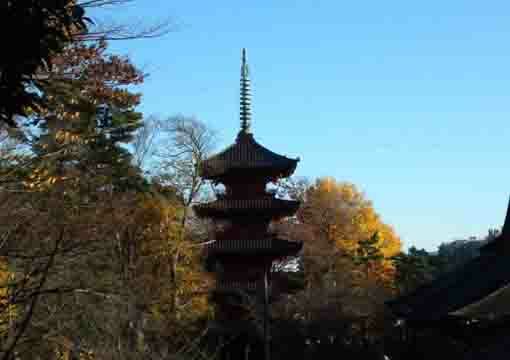 Shinmeiji Temple is famous for the tall ginkgo tree and the story related to Oguri Hangan. Onigoe at Ichikawa city in Chiba prefecture (around Onigoe Station) was an area called Onigoe village in Shimousa province before Meiji era. 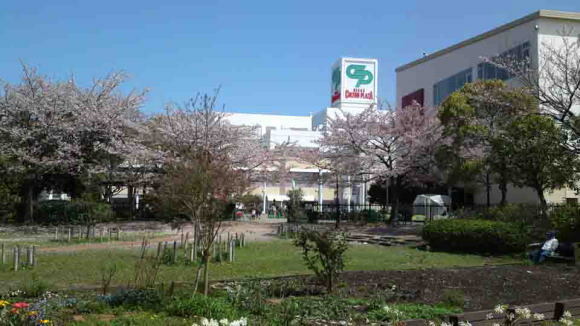 There are several stories of giving the places name Onigoe. Some says that the name of Onigoe derives from an episode related to Yoritomo Minamoto, the first Shogun built the first samurais' government called Kamakura Bakufu. In Jisho 4th (1180), Yoritomo was on the way to the provincial capital of Shimousa province, one of his following retinue created a tanka poem, 'Sayo fukaku oni no sikokusa fumi koete yukue kototou mama no urahito' (After night advancing, having stepped over the deep weed on the cliff, we asked to a man at Mama beach. ), so Onigoe named after the words 'oni' and 'koe' in this poem. In eastern side of Onigoe village, there is Kashima kaido highway (now Kioroshi kaido highway) that runs from north to south. And there is an area called Futago-cho 1 km east of Onigoe, it was was called Futago-ura (Futago Bay) in Kamakura period and also it had small port, so the area had faced to the sea at that time. According to folklore at Monjuin Temple in Futago-cho, Nichiren the Founder of Nichiren Sect used this port to go to Kamakura from Nakayama Hokekyoji Temple. And Fujiwara Kannondo Hall famous for the one of the greatest samurai worriear, Miyamoto Musashi, introduced in the novel 'Miyamoto Musashi' written by Eiji Yoshikawa is on Kioroshi kaido highway about 2 km north-east from Onigoe. In addition, Matuo Basho, the greatest haiku poet in Edo period, had passed Kioroshi kaido highway to go to Kashima Jingu Shrine from Edo (Tokyo). Before having completed construction Tonegawa Tosen (moving the Tone river to east), Tonegawa, Watarasegawa and Arakawa river had flown to the Tokyo Bay, so these 3 large rivers had carried much water and soil there, the eastern Edo (now Koto, Edogawa, Arakawa, Sumida, Katsushika and Adachi-ku) had got floods many times in those ages. Ieyasu Tokugawa planned to change the direction of flowing of Tonegawa and Watarasegawa rivers to the east to go to the Pacific Ocean at now called Choshi City in Chiba prefecture. 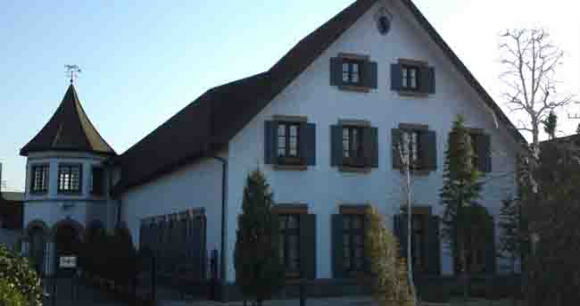 Then the eastern areas changed from wetlands to a granary. It means that people might generally walk on Kioroshi kaido highway to go to the north from Edo, Kamakura and other southern areas in Kanto region before the completion. 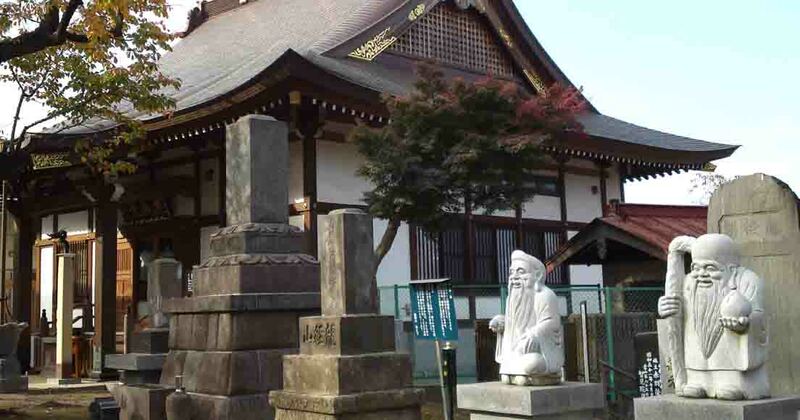 Mitsushige and Sukeshige Ogri such a samurai worrier called Oguri Hangan could pass through the area around Onigoe village to go to his land in Hitachi province (now Ibaraki prefecture) from Kamakura like Yoritomo Minamoto, Musashi Miyamoto, Nichiren and Matsuo Basho. 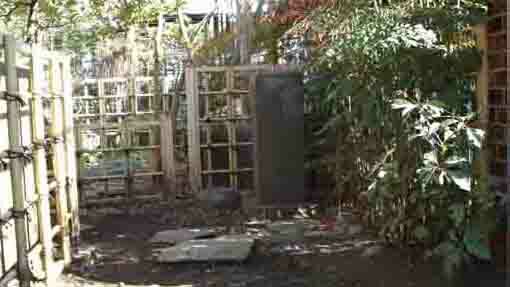 Then the story and historical sites of Ogri Hangan has remained in Onigoe. 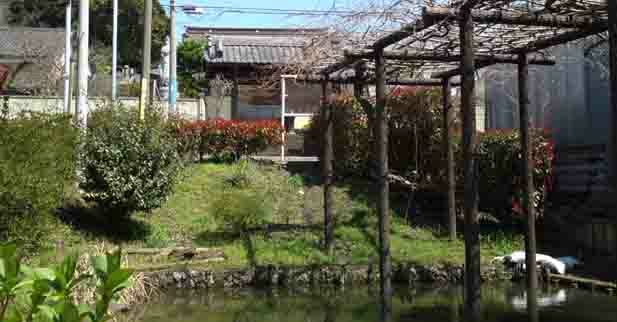 There was a pond called Hanganike pond about 500m south from Shinmeiji Temple. And Ogurihara Elementary School exists in the 1km east from the temple, it implies that the area around the school used to be called Ogurihara. Nobody knows whether Ogri Hangan really had come or not, the story gives us much inspiration. 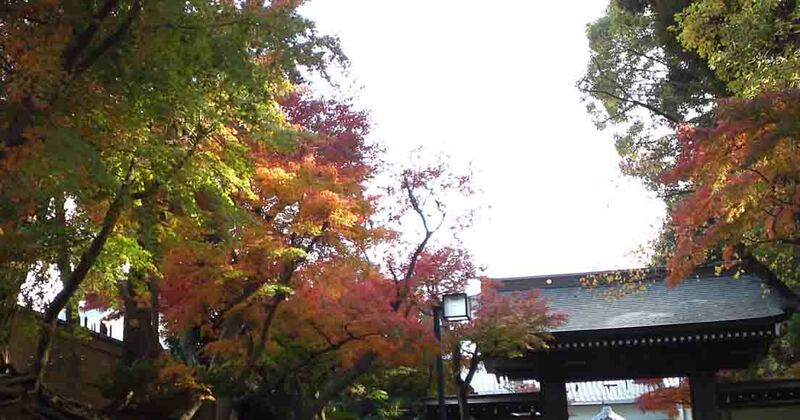 Why don't you visit Shinmeiji Temple? 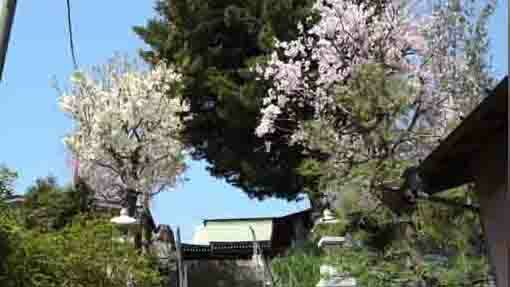 Shinmeisha Shrine and Shinmeiji Temple have great accessibilities from both Narita and Haneda International Airport. 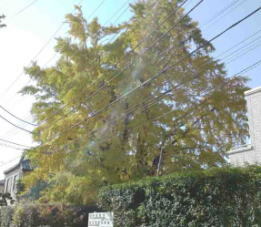 There are some huge gingko trees having some legends and stories in Ichikawa city. 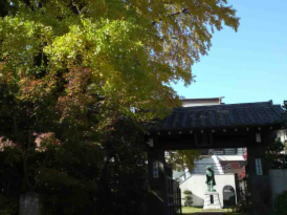 The National Natural Treasure Senbon Icho (the gingko tree having thousands trunks) in Katsushika Hachimangu Shrine in Yawata, Naki Icho (The Crying Gingko Tree) in Hokekyoji Temple in Nakayama and the gingko tree where Oguri Hangan stopped his horse in Shinmeiji Temple in Onigoe. Each tree has interesting story. Why don't you visit and see those huge gingko trees? Katsushika Hachimangu Shiren has some historical sceneries. 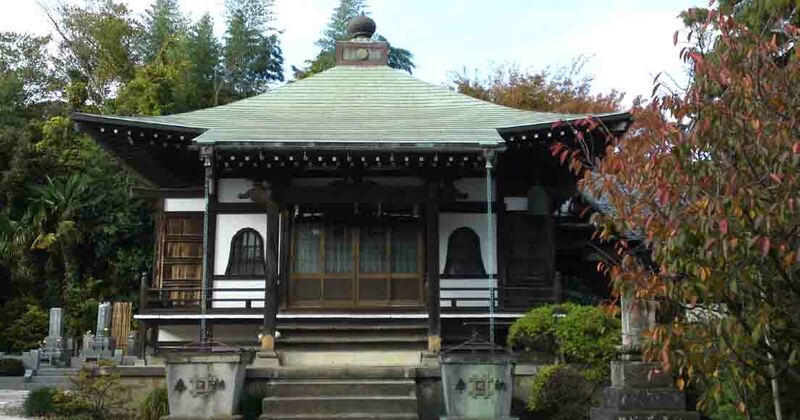 Hokekyoji Temple has four important national properties in it. 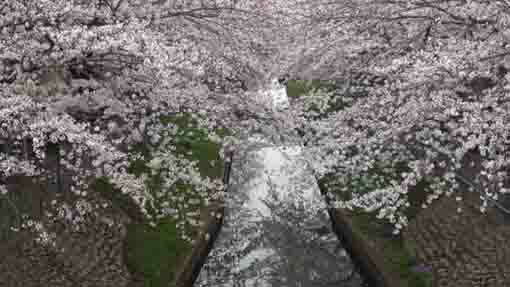 And many cherry blossoms bloom in spring.